Servant of Shirou as part of the Red Faction in the Turifas Holy Grail War of Fate/Apocrypha. 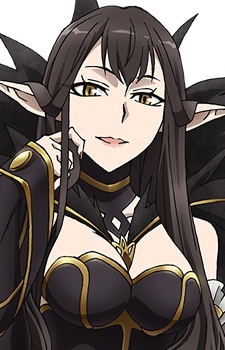 Assassin's identity is Semiramis, Wise Queen of Assyria (アッシリアの賢女王), a legendary queen who reigned over the empire of Assyria. Since her childhood, she has studied a wide range of disciplines such as cosmetics, hairdressing, dancing, clothing, music, astronomy, and her beautiful face has captivated many men. A very enthusiastic person, she indulges in luxury and decadence. Her passion has led her to start a war to possess a single man, and to poison her husband, the king, for politics. But her abilities as a queen are indisputable, as she has led many expeditions, as seen on walls and the Ishtar Gate. She uses poison as her weapon.